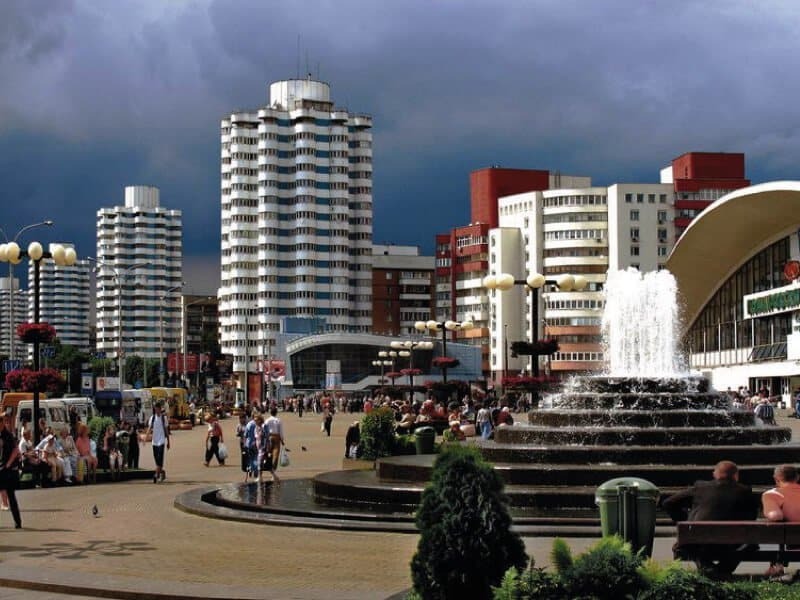 Minsk is known to travelers not only as the largest city of Belarus (and, in combination, its capital), but also as a leisure center, a city where everyone can choose entertainment to their liking. Based on the feedback of tourists and our own experience, we chose the 20 unusual things to do in Minsk, which definitely will not disappoint you! 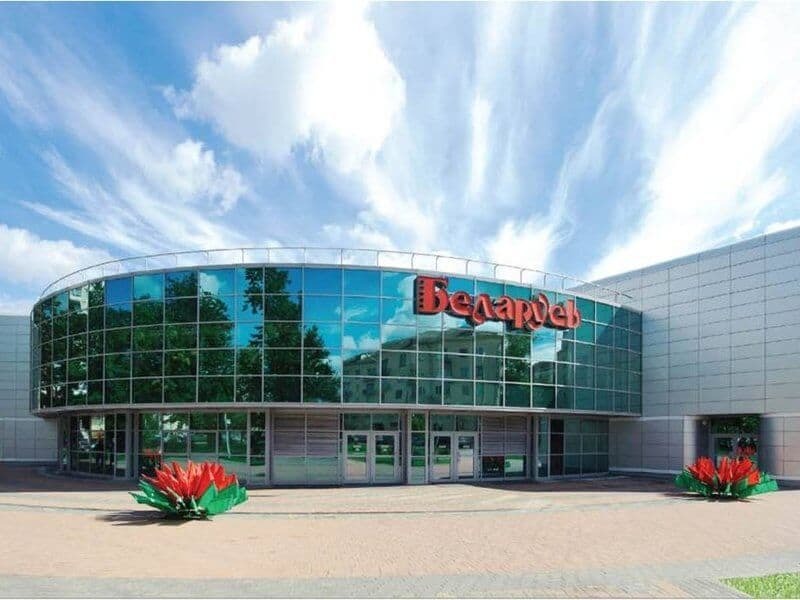 Where to go in Minsk with the whole family, having received a lot of impressions and leaving an acceptable amount in the cashier’s office? Of course in iLocked! iLocked are exciting quests for every taste. The most popular quest among visitors is based on popular horror films. Can you take the risk? Gorky Central Park is one of the most famous recreation parks in Minsk. The park is located in the heart of the city and it’s easy to get there. 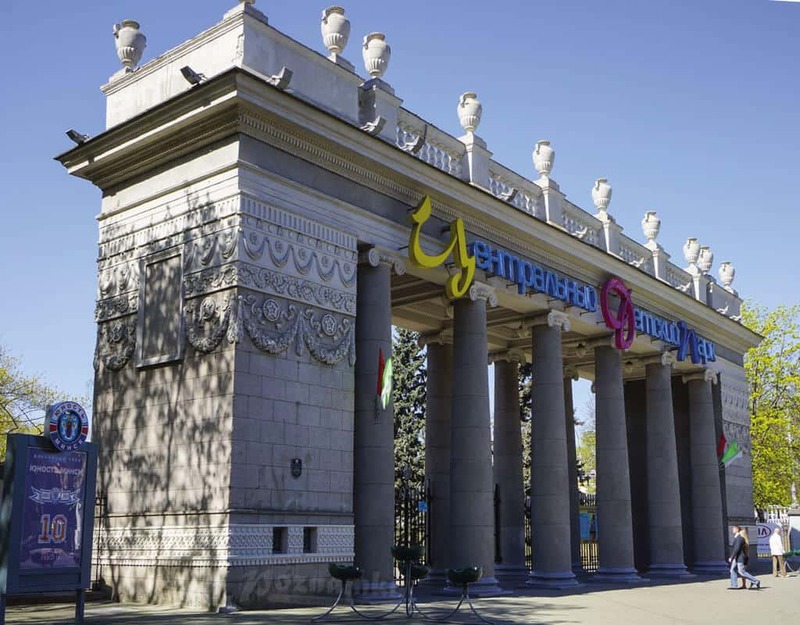 If you are looking for where to go with your family in Minsk for free, then we recommend that you spend the weekend in the Gorky park. In the park there is a Ferris wheel, thanks to which you can admire the city from a height, as well as many attractions for children and adults. The park is good at any time of the year: in the summer it is fresh and green, and in winter it is cozy and beautiful. Visitors note the beautiful landscaping and recommend walking on a boat on the river flowing directly into the park. Kvestrum.bel is another exciting quest that is popular not only among young people, but also among children and their parents. Kvestrum.bel offers visitors a lot of thematic “rooms”, in which you have to solve a variety of riddles. This is the place where you will not only have to flash your mind, but also test your intuition skills. 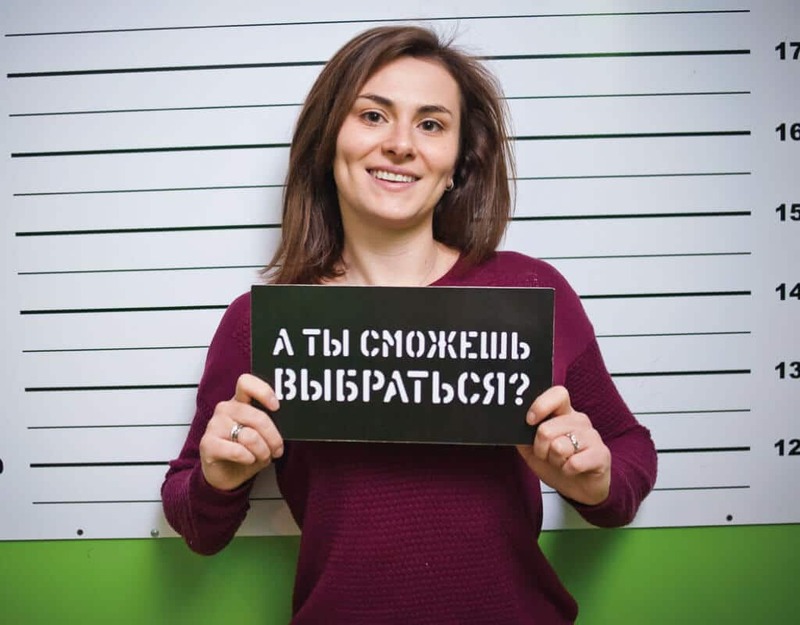 Minsk citizens and guests of the city recommend the quest “The Shawshank Redemption” based on the film of the same name. Once you visit Kvestrum.bel you will be happy to return there again! A lot of positive emotions are assured to you, especially if you decide to spend time here in the company of friends and relatives. One of the most visited cinemas in Minsk, offering its visitors a pleasant stay at a reasonable price. The cinema consists of five large halls and offers the most actual novelties of cinema. Visitors in their reviews note the high level of comfort: comfortable chairs with high backs and armrests, large passages between rows, in the lobby of the cinema there is a cafe-bar, allowing you to have a snack before the session and buy soft drinks and popcorn. 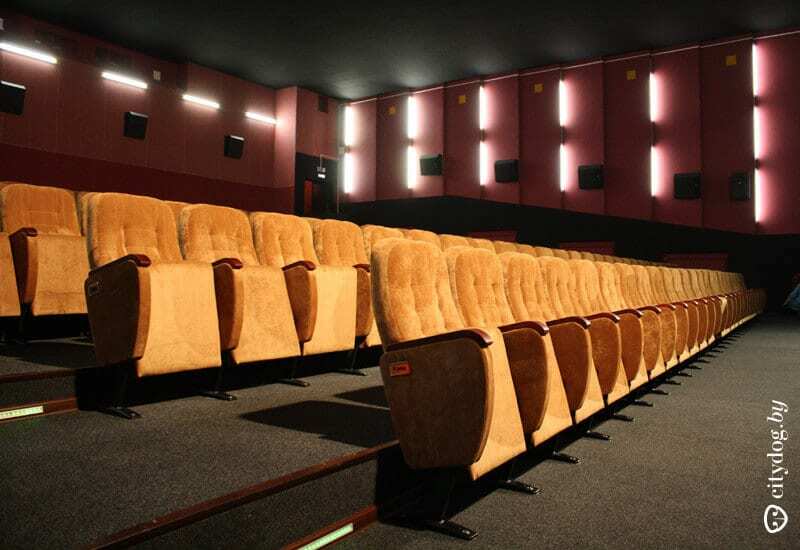 Transport accessibility also does not cause censures: the building of the cinema was actually built in the center of Minsk, not far from the metro station Frunzenskaya. There is parking near the cinema, but visitors are not advised to come by car, as finding a free place is problematic. You can buy tickets for the session at the box office of the cinema. 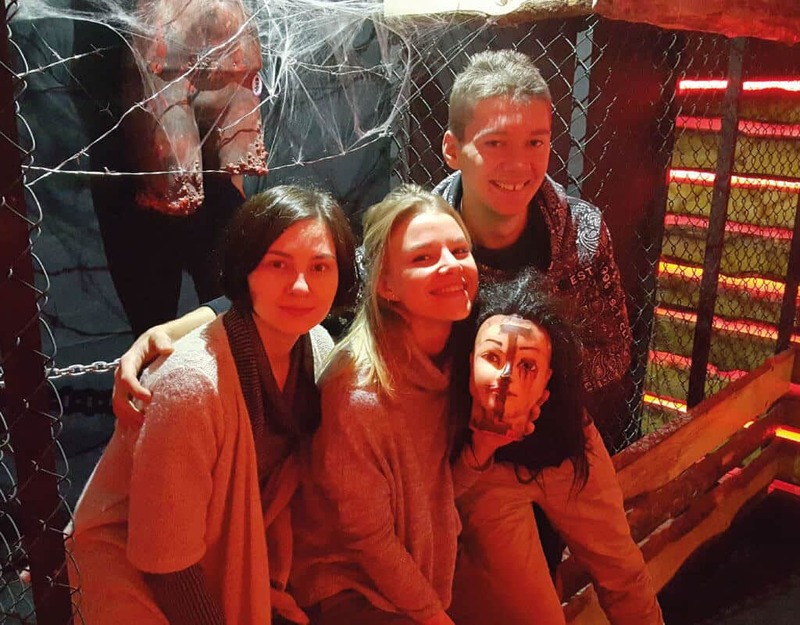 Some visitors call Claustrophobia the best quest in Minsk in their reviews! And here are just some reasons why they are right: first of all, this is an exciting leisure that will surprise everyone, regardless of age and interests. “Claustrophobia” is a game in ourreality, but this reality is quite unlike the one that surrounds us with you in everyday life. Distract from the routine and immerse yourself in an atmosphere of incredible stories! The staff is friendly and ready to tell you about all the intricacies of the games. Beginners will definitely not be easy, but all puzzles are extremely interesting, and the design of quest-rooms will surprise even the most sophisticated visitors. The Republic Palace will be interesting for tourists primarily from the point of view of architecture and interior decoration. This palace does not leave anyone indifferent: some admire its monumentality, while others say that this is the most ugly building in the city. In any case, it is worth a visit at least in order to form your own impression. The palace is located in the historical part of the capital and after his visit you can arrange a small walk along the cozy streets of the city. Annually in the palace there are concerts, holidays, theatrical and New Year’s performances. Who knows, maybe you can see one of them? Another cool quest in our list — Door Z! How is it different from everyone else? The answer is simple: plots. If most quest rooms offer visitors familiar to all stories (horror, adventure or solving complex puzzles), then Door Z strikes their entourage and original stories. Amazing locations create an atmosphere of full immersion in the game, and affordable prices and courteous staff will be another plus in the Door Z. It is highly recommended to visit this quest if you are tired of banal stories or just want to experience unforgettable emotions. It’s time for really adult leisure. Shangri La Casino is a high quality service and unsurpassed comfort. 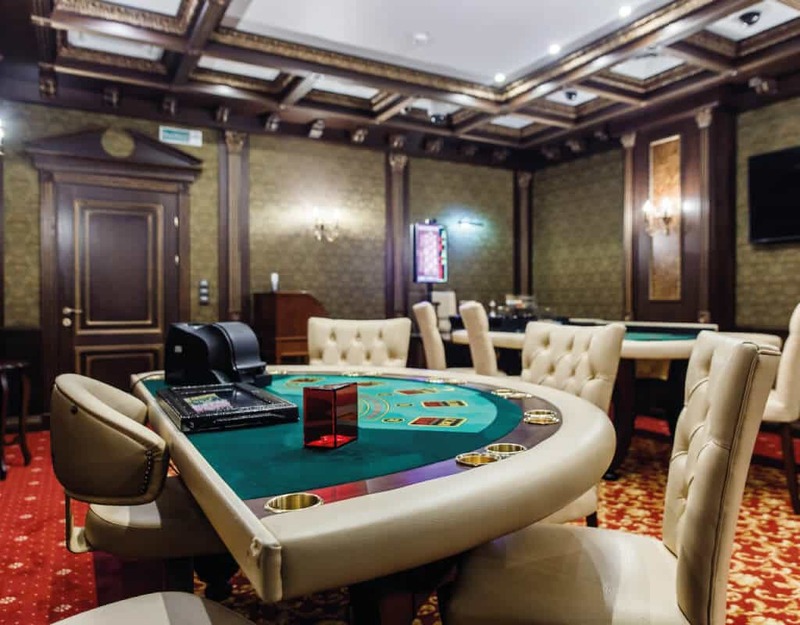 This casino will be appreciated by both avid players in the casino, and those who first get acquainted with roulette, slot machines and poker. 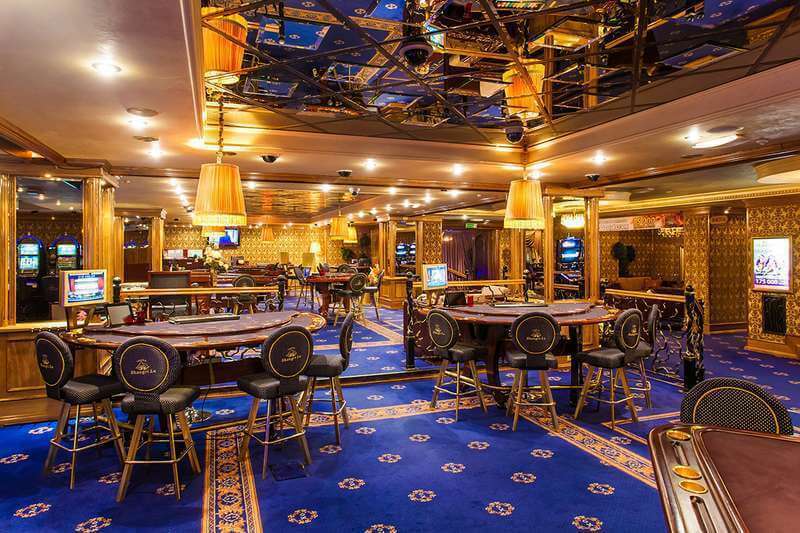 The atmosphere of the casino has an absolute rest, here you will meet exquisite interiors, polite staff and … no hard dress code. You can visit Shangri La Casino even in jeans and sneakers, feeling at the same time as comfortable and at ease. Visitors note that the casino is very small, but at the same cozy. The offered menu is diverse and will satisfy any gastronomic preferences of the guest. We guarantee that after visiting Shangri La Casino you will definitely want to visit it again. 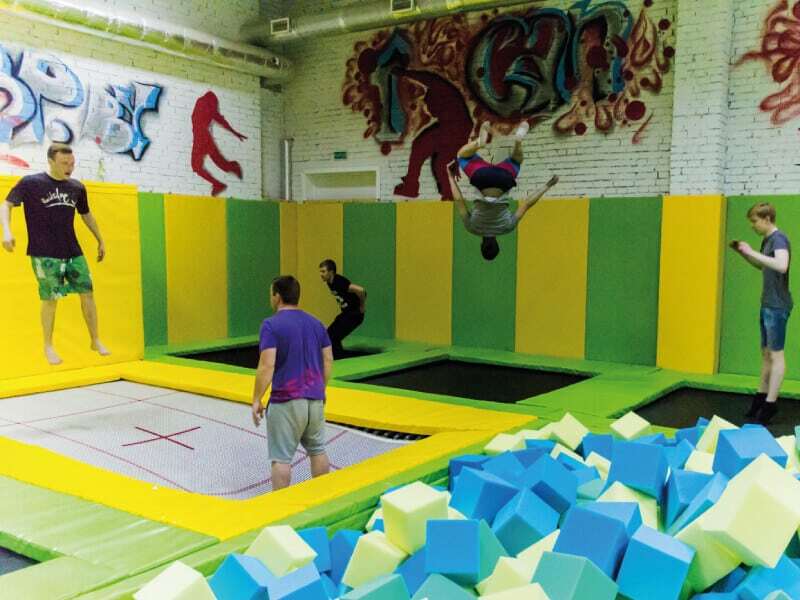 Trampoline arena “Joy Jump” — a place where you can not only have fun, but also to strengthen health! The arena is equipped with a wide variety of equipment not only for jumping, but also for acrobatics or stretching. Visitors can also use the services of a coach. “Joy Jump” assure that regular activities here can become a real substitute for fitness, while providing excellent mood and a charge of vivacity! Among the main visitors of the arena you will meet not only families with children, there is something to do even for those who have long considered such entertainment exclusively for youth. Are you alien to family weekends, complicated quests or casinos with their officiality and high prices? In this case, welcome to the night life of Minsk! There are hundreds of nightclubs in the capital, but we want to draw your attention to the “Private House”. In “Private House”, there is excellent music, affordable drinks and great hookahs. 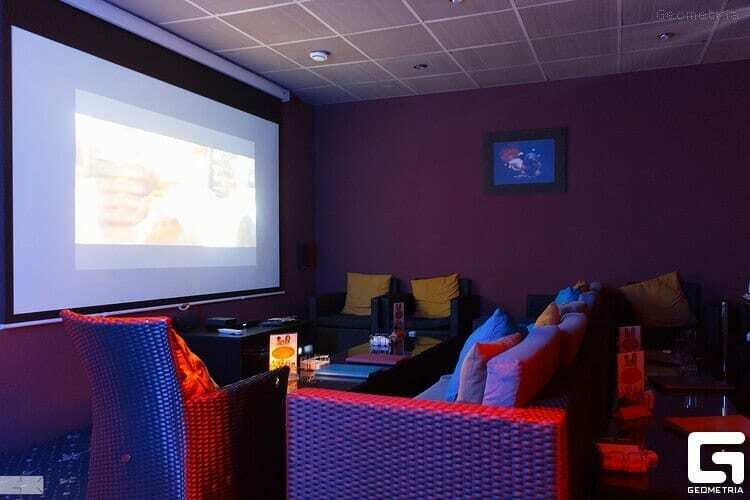 Visitors have the opportunity to rent a separate VIP room with karaoke and game consoles. In addition to the main hall and VIP rooms, guests can enjoy desserts on the terrace, and fans of dancing will definitely not be indifferent to DJs and their mixes. Looking for the perfect place for a children’s holiday? 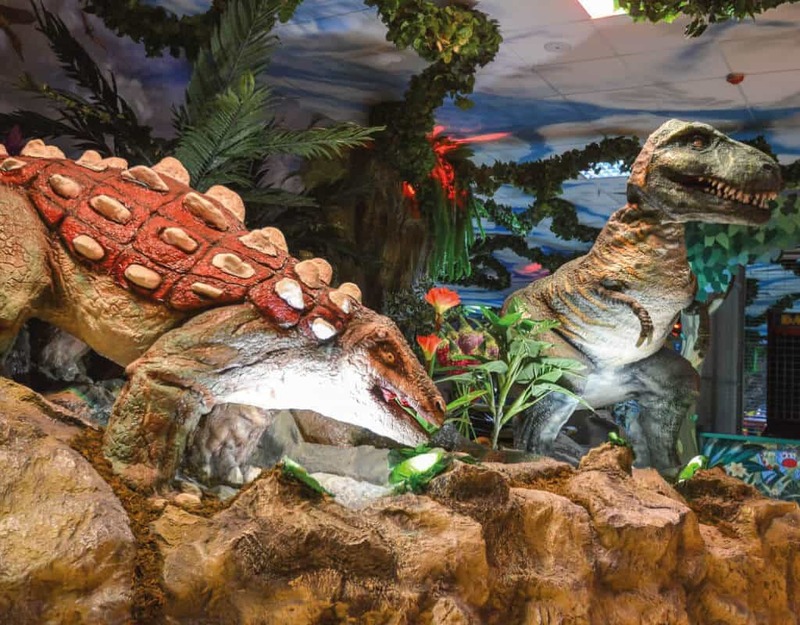 We recommend “DINOSAURiYA” — a place where any child will experience delight and will remember this leisure for a long time! 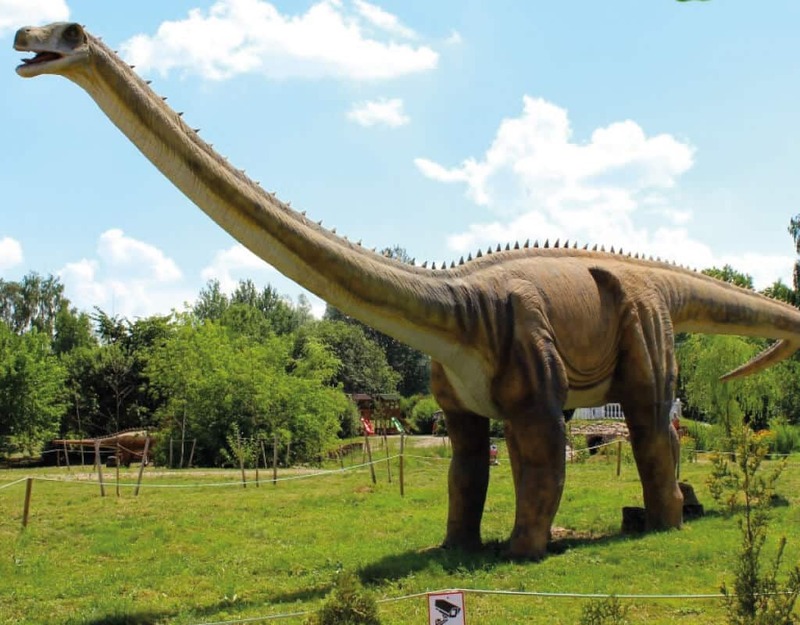 In “DINOSAURiYA” there are so many entertainments, visitors spend here on average not less than 3 hours. Families can spend time with their children or leave their child under the supervision of the staff. In their reviews, visitors praise the convenient system of payment, a variety of attractions, delicious food and the opportunity to take leisure of each member of the family — from small to large! In addition to attractions in “DINOSAURiYA” you can get to the costume show, which will please both kids and adults. The show takes place several times a day and at this time all dinosaurs literally come to life! Another notable intellectual rest in the form of exciting quests you can find in the “Smart Place”. 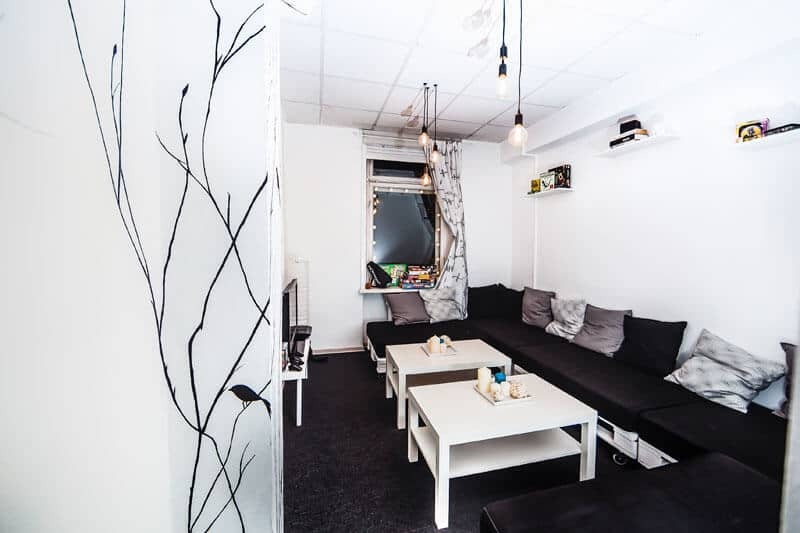 “Smart Place” is a unique complex of questrum and time cafe, where you can spend a whole day in a company of friends, without worrying about the cost. In the time—cafe you will find many convenient places, tea, coffee and sweets, and the stories of the quests are captured from the first minutes. Will you manage to get through to the end? Beautifully decorated park with small dinosaur models, many of which are “alive” thanks to animatronics. Dinosaurs are many, they are bright and attract attention, are well inscribed in the landscape, and when you approach them, “come to life” and growl loud enough. Visitors especially like the hunting scene of predators on a large herbivore, and pterodactyl, waving its wings on top of a hill. Each exhibit has a table with detailed descriptions. A special atmosphere is given to the place by the incessant “animal roar”, literally urging to find and consider its source. You can have a great walk with the kids. In general, this is a great place to pass the time and please the children. Moreover, the cost is low, and some places (for example, the aquarium, terrarium and exotarium) are completely free of charge! For a walk it is better to choose athletic shoes, because the paths are sprinkled by gravel. One of the most popular water parks in the capital is, of course, Freestyle. 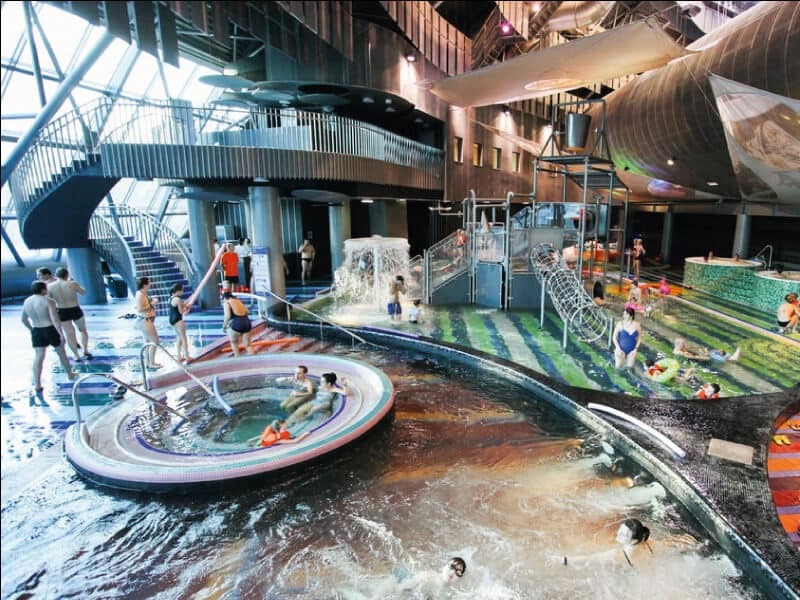 At the choice of visitors there are many slides for different ages, jacuzzi, artificial waterfalls, as well as everything that is necessary for a comfortable stay in the water park: convenient changing rooms, spacious storage rooms, a contactless shower and a free hairdryer. In addition to the water park in “Freestyle”, you can also visit the bath—thermal complex, where besides the traditional steam bath there is a hammam and tepidarium. Cafe in the water park and electronic queues provide extra comfort. “Freestyle” periodically arranges actions due to which it is possible to get a substantial discount for visiting the water park and bath complex. “IgraRoom” is a project that has no analogues in the capital. The choice is offered to exit quest rooms, quest-tours in Minsk, designed to replace the banal walks with the guidebook, as well as urban and suburban quests! Tourists will be especially interested in quests-excursions, during which you can not only have fun, but also learn a lot of interesting things about Minsk. Excursions are held in the historical part of the city, so that you can flash erudition and at the same time admire the local sights. Quest lasts a long time, so you should stock up on water and comfortable shoes to go on an interesting adventure! “IgraRoom” will give the sea of unforgettable emotions, and will give everyone an opportunity to prove themselves in a team. 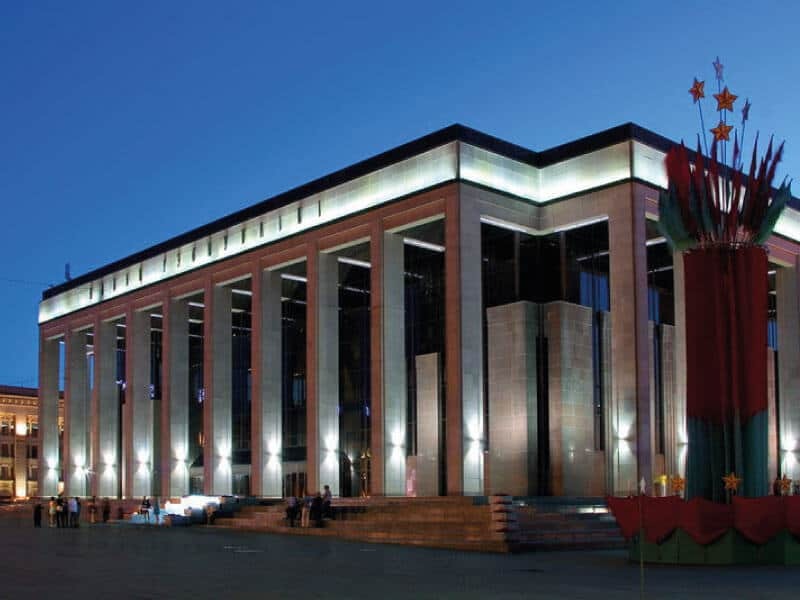 The National Library of Belarus is one of the most famous landmarks of the country, and it’s not surprising! 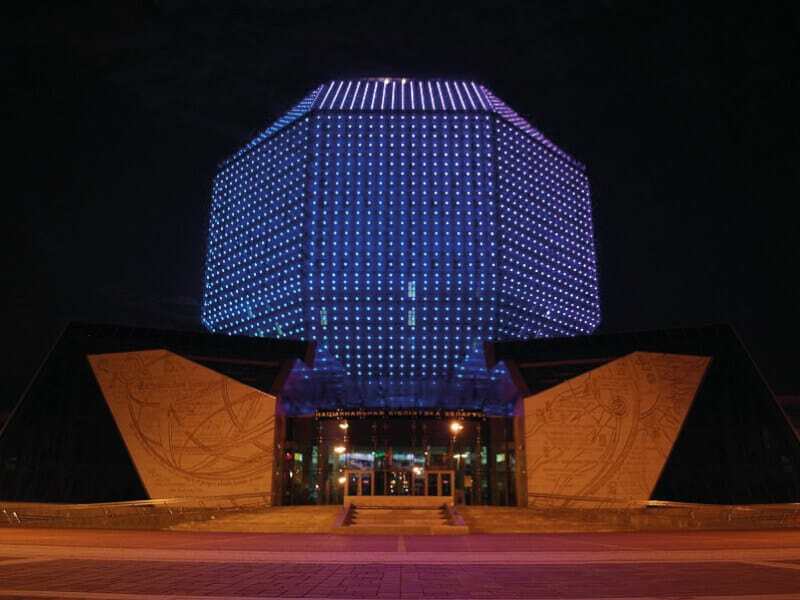 Its appearance will surprise even the lovers of modern architecture, especially in the dark, when the facade of the library begins to sparkle with night illumination. On the choice of visitors not only library services, but also a lot of excursions for different ages (guides also speak foreign languages). Among other things, you can buy a ticket to the “Minsk on the palm” viewing area, where you can see the city from a bird’s eye view, and then head to the “Graf Cafe”, located in the library, for a cup of coffee. If you dream, if only partly, but still immerse yourself in the atmosphere of the classic Soviet cinema, then you definitely should visit the “Raketa”! Here everything is reminiscent of the past: at the entrance to the hall and at the ticket offices you will be greeted by smiling elderly workers of the “Rockets”, the curtains closing the screen are opened manually, and the façade in the style of Soviet architecture will interest all connoisseurs of the past. A modest and inexpensive, but at the same time cozy cinema, a real time machine, preserved to our days. Another casino in our top of the best entertainment in Minsk. “Casino Carat” is a passion, sophistication and comfort in its pure form. Here there is a strict dress code, so prepare your best dress or suit, and go to meet the winnings. Visitors in their reviews assure that “Casino Carat” is one of the best gambling establishments in the city, and we are in solidarity with them. Fans of gambling and those who have looked here for the first time will definitely appreciate the atmosphere of the casino, the quality of service (after all, the staff of “Casino Carat” are charming ladies in beautiful outfits) and a real opportunity to win the cash. For a long time dreamed to learn to draw, but did not dare to enroll in expensive courses? 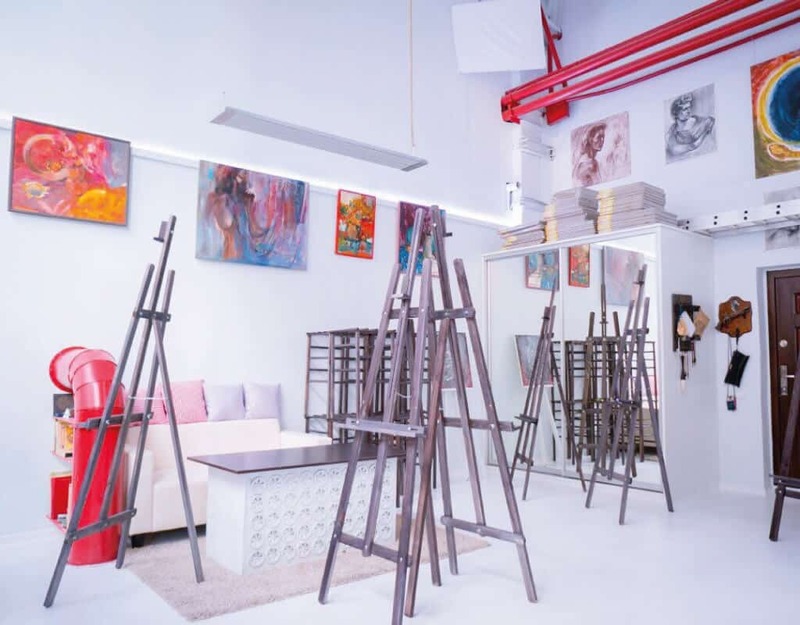 “ELEVEN—O—FOUR” — a great art studio, offering dozens of lessons in professional drawing for all ages! You can visit both one—off classes and take a whole course, after which you can get a certificate. Teachers are talented artists, behind whom is a rich experience and a sincere desire to give the world something beautiful. The cost of lessons is high, but where else will you be taught in 4 hours to draw a real work of art, which then is not embarrassing to hang in your own living room? 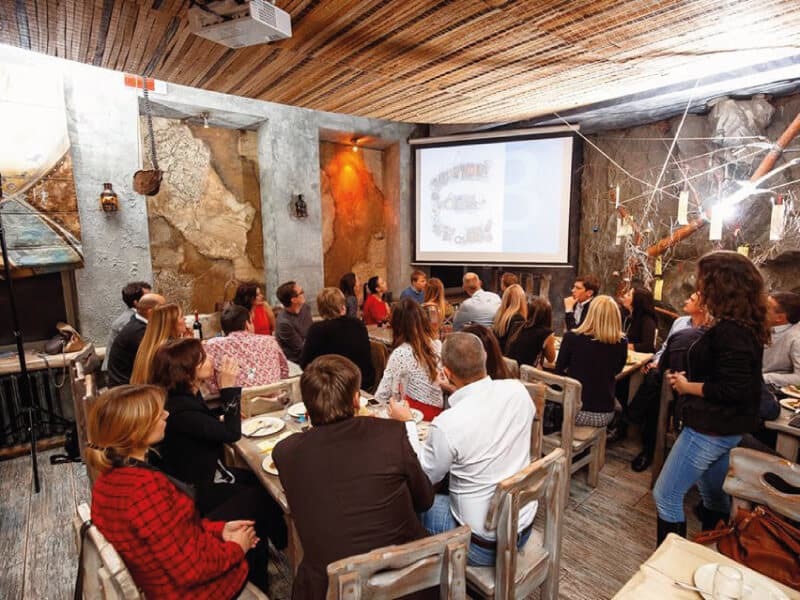 The lessons from “ELEVEN—O—FOUR” will be an excellent entertainment not only for Minsk residents, but also for the guests of the city. Bring your own picture from Minsk as a souvenir! “0.67” is not in vain called the park of active rest! There is everything for lovers of sports and more. 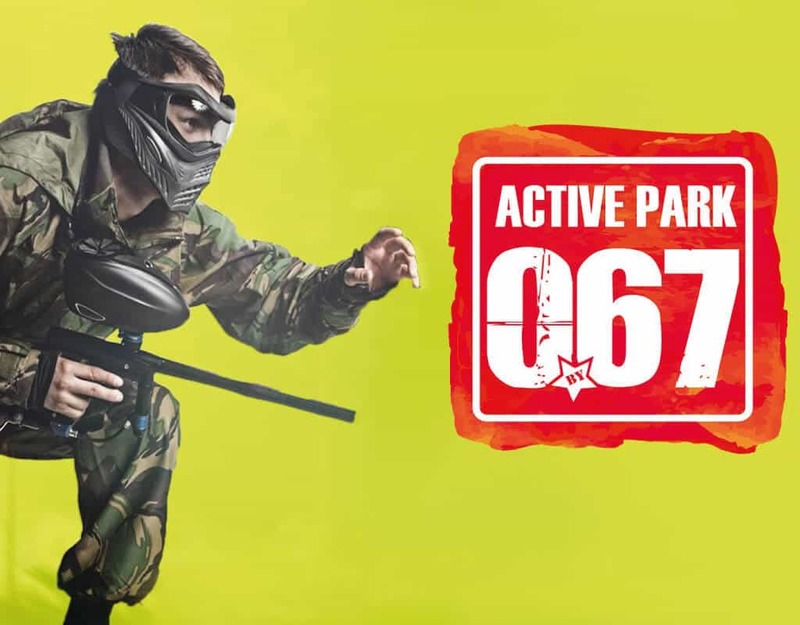 For the visitors is represented by a large selection of “activities”: paintball, lasertag, airsoft, rope park, climbing wall, shooting gallery, sports quests, quad bikes, as well as renting gazebos, a sauna, a restaurant and a hotel. All this provides maximum comfort. In the park you can stay for a few days, planning a large-scale suburban active rest! In this case, you do not have to worry about where to live and dine. The restaurant is quite a diverse and tasty menu, and the hotel is ready to accommodate even a large company of travelers. Fans of paintball will appreciate high—quality equipment and various game scenarios, as well as a wide range of weapons. The park can be easily reached by car in just 15 minutes. As you can see, it’s not boring in Minsk! In the capital, you can easily find entertainment for children and adults for every taste and purse. If you are looking for where else to go in Minsk, read our articles about the ten best nightclubs in Minsk. We wish you a pleasant stay! FOLLOW VISIT-BELARUS ON SOCIAL MEDIA!